Written by: Priya Potapragada on June 23, 2017. Miki Akimoto is a Senior Vice President and a Practice Expert within the National Practice group of Philanthropic Solutions, U.S. Trust. She has been with U.S. Trust since 2010, and works with clients and prospective clients to help them identify their philanthropic interests, define giving strategies, and implement best practices in grantmaking. She works with her Philanthropic Solutions teammates nationally bring current thinking and informed practice to the discretionary trusts for which Bank of America, N.A. serves as Trustee. She provides thought leadership for the giving from several significant foundations for which Bank of America, N.A. serves as Trustee, and works with co-trustees to design and implement giving from accounts where the Bank serves as co-trustee. 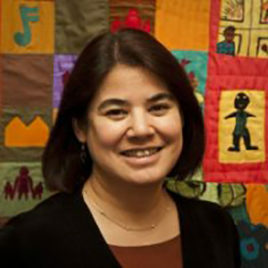 Prior to becoming part of U.S. Trust, Miki was the Vice President and then Acting President of Associated Grant Makers, the regional association of foundations, corporate givers, and other key donors in Massachusetts and New Hampshire. She served as the first Director of Grants Management for the Annie E. Casey Foundation, and as a program officer at the Corporation for National and Community Service, AmeriCorps National Direct division. She holds a Bachelor of Political Science degree from Stanford University. She is actively involved in the philanthropic community nationally and locally. Current and past board service includes Third Sector New England, the Maine Philanthropy Center, Asian Americans/Pacific Islanders in Philanthropy (chair), The Full Frame Initiative, the YWCA Boston, the Boston Foundation for Architecture, and the Forum of Regional Associations of Grantmakers. She also helped found the Saffron Circle, the first Asian Giving Circle in Massachusetts. She was named a Balfour Fellow in 2008, and received the U.S. Trust® President’s Award in 2015.